Russian court freezes about $145 mln of IKEA funds | Russian Legal Information Agency (RAPSI). MOSCOW, December 2 (RAPSI) – A court in Russia’s Smolensk region granted a motion filed by businessman Konstantin Ponomarev and froze 9.3 billion rubles (about $145 million) of funds for IKEA Mos, IKEA's Russian division, court records show. 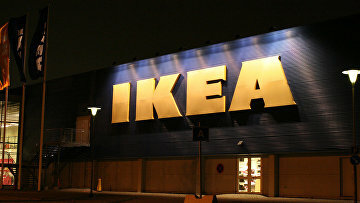 The court also prohibited tax authorities to make any changes to the Unified State Register of Legal Entities linked to IKEA Mos reorganization. The freezing order was issued by the court on November 16. Citibank said on November 21 that IKEA Mos had no funds to cover the required amount. It was revealed that IKEA Mos notified on July 25 thousands of its partners about a planned reorganization. The notification note said that a new company was opened named IKEA Centers Rus Operation and that it handled banking operations on behalf of IKEA Mos. The court ruled that assets of IKEA Mos were thus siphoned off which was regarded as abuse of law. IKEA Mos reorganization may result in the loss of assets needed to enforce the court ruling, according to the ruling of the court that ordered the assets to be frozen. The court also prohibited IKEA Centers Rus Operation and banks to accept monies and other assets from IKEA Mos partners within 9.3 billion rubles ($145 million) amount. IKEA Mos reorganization started on June 27 soon after Joakim Virtanen, former general manager at IKEA division in St. Petersburg, admitted to giving false testimony against Ponomarev who got under investigation. Five criminal cases were opened against Ponomarev at the request of IKEA. Virtanen also acknowledged authenticity of all documents supporting Ponomarev’s claims to IKEA Mos, which were earlier challenged by the company’s lawyers. As a result, all criminal cases against Ponomarev were closed. 11:40 02/12/2016 A court in Russia’s Smolensk region granted a motion filed by businessman Konstantin Ponomarev and froze 9.3 billion rubles (about $145 million) of funds for IKEA Mos, IKEA's Russian division.